Hello Creekside luxury! 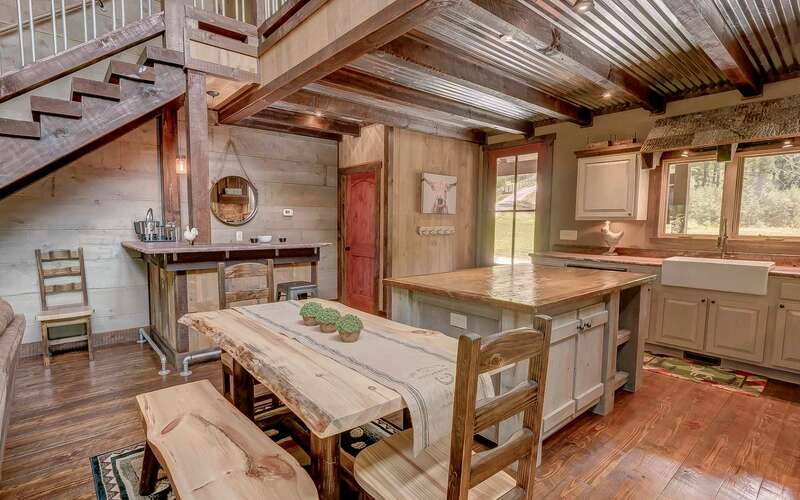 This fantastically chic rustic architectural style cabin is only steps from creek. 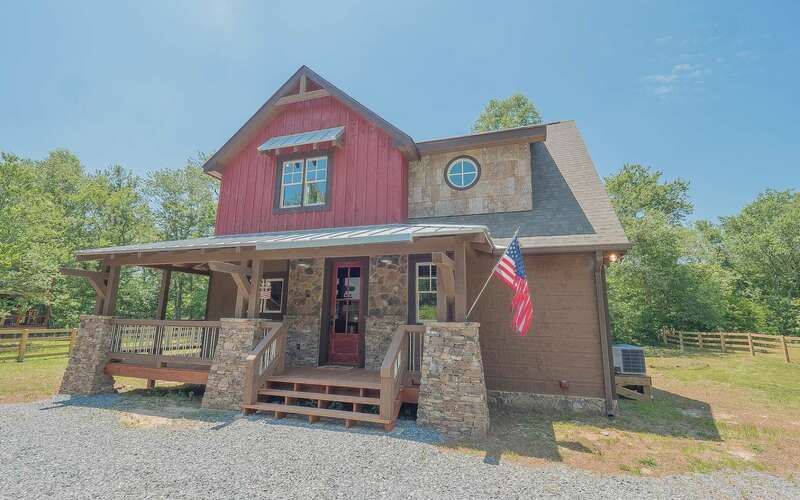 Fully furnished including hot tub!! Upon arrival, you will discover a large Old Southern style glass door that welcomes you into this perfect blend of old and new style combined. 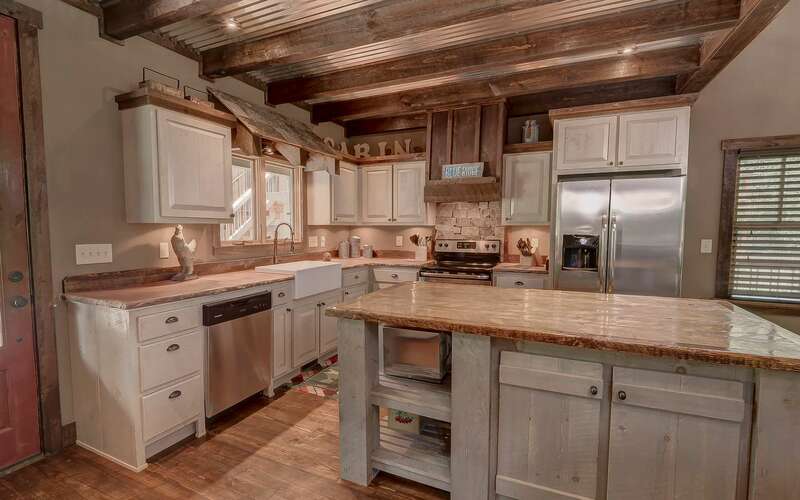 The large kitchen has a beautiful island, thick richly stained concrete counter tops, a charming farmhouse sink, stacked stone backslash , silver tine ceiling with rustic dark beams, and unique barked edge window accents. The kitchen also offers a separate bar area. Just steps from the living room area is a Master bedroom. This bedroom's bathroom has a log slab, double vanity sink and large tile shower. Follow the thick slab wood steps up the unique staircase, to the open loft and second bedroom & bath. 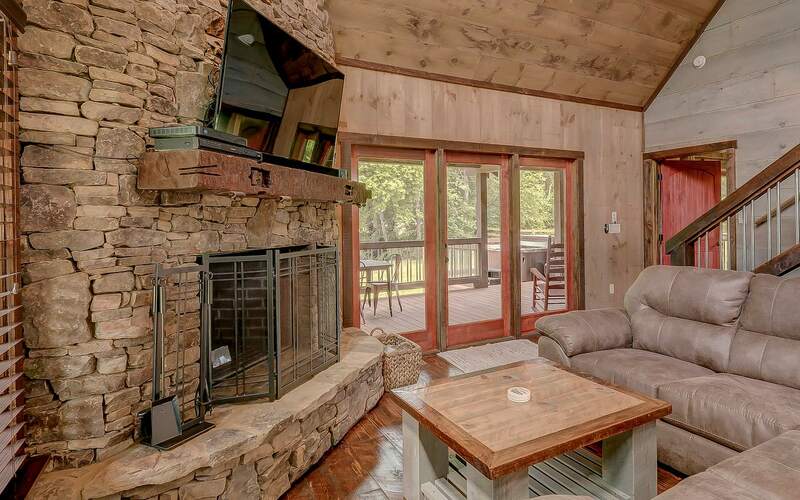 You can access the outdoor space with lovely amenities like the stone outdoor wood burning fireplace. From the deck you can hear the roaring creek.